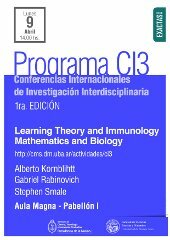 "CI3 - Conferencias Internacionales de Investigación Interdisciplinaria"
lanzado por el Ministerio de Ciencia, Tecnología e Innovación Productiva. 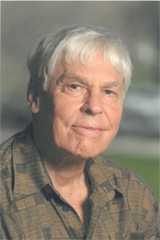 Contará con la visita del reconocido matemático Stephen Smale. Alternative splicing is a major contributor to protein diversity because it explains how every individual gene generates multiple proteins. Recent findings justify a renewed interest in alternative splicing. Estimated to affect nearly 90 percent of human genes, alternative splicing is more the rule than the exception, and mutations that affect this mechanism are a widespread source of human disease, including many genetic disorders and cancers. Our work focuses on the regulation of alternative pre-mRNA splicing, with particular emphasis on the mechanisms that couple the processes of splicing and transcription. In the postgenomic era, the study of the ‘glycome’- the whole repertoire of sugar structures in cells and tissues- has enabled the association of unique glycan structures with specific physiological and pathological processes, adding a complexity of hundred million more information to the diversity already introduced by the genome and proteome. The responsibility for decoding this biological information is assigned, at least in part, to endogenous glycan-binding proteins or lectins whose expression is regulated at sites of inflammation and tumor growth. With the overarching goal of generating more rational therapeutic strategies in chronic inflammation, autoimmune diseases and cancer, our laboratory investigates the molecular interactions between endogenous lectins and glycans leading to the control of innate and adaptive immune responses. Euclidean and Riemannian geometry have played a central role in the physical sciences. We will discuss how that geometry might be extended to the biological sciences and the sciences of intelligence. Natural environments often present cells with complex stimuli. We are interested in understanding how cells process this information and execute an appropriate response. As a model system, we study the quantitative behavior of the mating pheromone response pathway in the baker’s yeast S.cerevisiae. This pathway has been extensively studied for the last 30 years using genetics, molecular biology and genomic tools. As a result, it’s core components, as well as their main interactions, has been successfully mapped. Now, we are studying how system-level behaviors arise from the interaction of these pathway components. For this goal, we use a combination of wet lab experiments with mathematical modeling and simulations. Here I will discuss our findings on how yeast locate a mating partner, measuring precisely external mean concentration and direction of the pheromone gradient. Pabellón I 14.30hs Charla Hugo Naya Ronald vs. Ronald: Are we doing McDonaldized science? The development of new technologies has led, in the last 20 years, to amazing discoveries in biology. In particular, nano-technologies, automatization and computer science allowed a series of High-Throughput analysis in molecular and cell biology that completely changed the existent paradigm. However, “there is no such thing as a free lunch” and these new instruments also changed unexpectedly the landscape of research conception. The promise of hypothesis-free data has conducted, in several cases, to careless experimental design that precluded full exploitation of results, increasing the experimental turnover and the storage of waste in data-repositories. Are we doing fast-science? Here, we exemplify the situation in the field of genomics, particularly focusing in experiments involving dense markers platforms. Principal challenges are discussed and some research lines proposed. From the above metric a Hausdorff distance will be used to construct a clustering of supertypes of alleles. Towards a Mathematical Foundation of Immunology and Amino Acid Chains. Casi todos los días uno lee -incluso en la prensa popular- sobre avances en biología y medicina, en genómica, en diagnóstico de enfermedades y tratamientos, en desarrollo de drogas, en teoría evolutiva, en biología de sistemas, que tienen una fuerte componente matemática. Los matemáticos se han empezado a interesar en qué puede decir la matemática sobre estos temas, qué parte de la matemática es relevante para la modelización y el entendimiento de los fenómenos biológicos y qué nuevos desafíos se presentan a los matemáticos y a la matemática. De hecho ya hay institutos y conferencias dedicados a varios aspectos que vinculan la matemática y la biología, internacionalmente y aquí en la región. Steve Smale, uno de los matemáticos más importantes del siglo 20, está pensando hace ya algún tiempo en algunas de estas cuestiones, y viene a compartir sus puntos de vista con nosotros. Esperamos que este evento particular pueda ayudar a abrir posibilidades adicionales en nuestra comunidad, para acceder a algunas preguntas esenciales de la biología y la medicina, y entender la utilidad de la teoría matemática del aprendizaje para atacar estas cuestiones. Más generalmente, confiamos en que este evento será uno en una serie de reuniones interdisciplinarias que eventualmente podrán ayudar a extender el trabajo interdisciplinario existente en estos tópicos de amplio interés e impacto a niveles de colaboraciones interdepartamentales, institucionales e incluso internacionales.